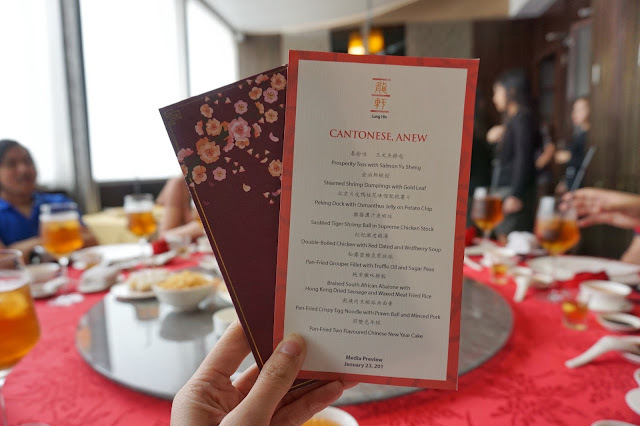 Looking for a place to spend Chinese New Year could be a daunting task especially with the growing number of restaurants offering spectacular special menus. 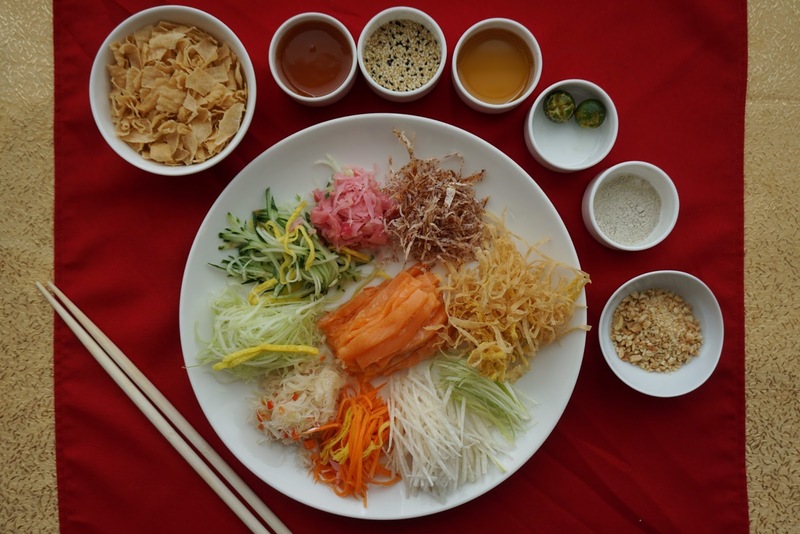 But if you want a good view of the city to go with your Yusheng, then there is one place in town that would be very hard to beat. 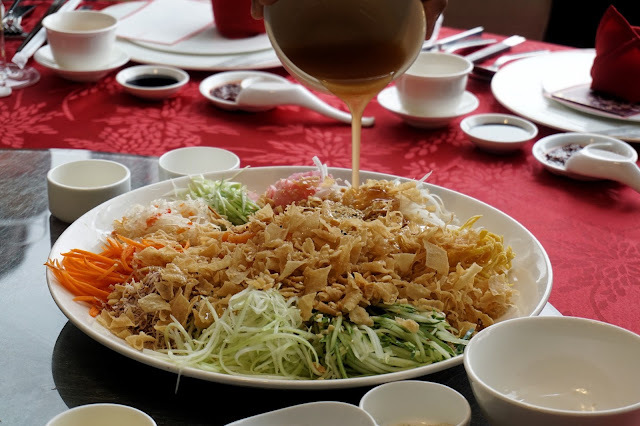 Located on the 44th floor of Marco Polo Ortigas, Lung Hin offers a breathtaking view of Manila complemented by delectable dishes and superb service. To celebrate Lunar New Year, Lung Hin came up with new dishes that would definitely make the Year of the Dog off to a beautiful start. We started off with the traditional Yusheng or Prosperity Toss Salad which is made with raw salmon bits, fresh greens, deep-fried flour crisps and condiments such as peanut crumbs, pepper and plum sauce. All these ingredients stand for good wishes for the coming year and for it to be bountiful. 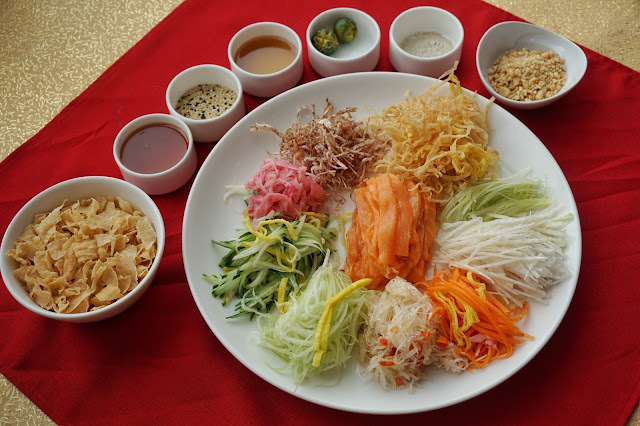 One of the staff led the lohei (tossing of the salad) and encouraged us to toss high for us to also soar higher this 2018. He also mentioned that we should not clean up the mess we created for it would mean that we're cleaning up our luck. I must say, it was my first time to tolerate a (yummy and colorful) messy table while eating. I instantly fell in love with the various textures this dish offers. The blend of sweet and salty flavors also made it a great start to our feast (and year). 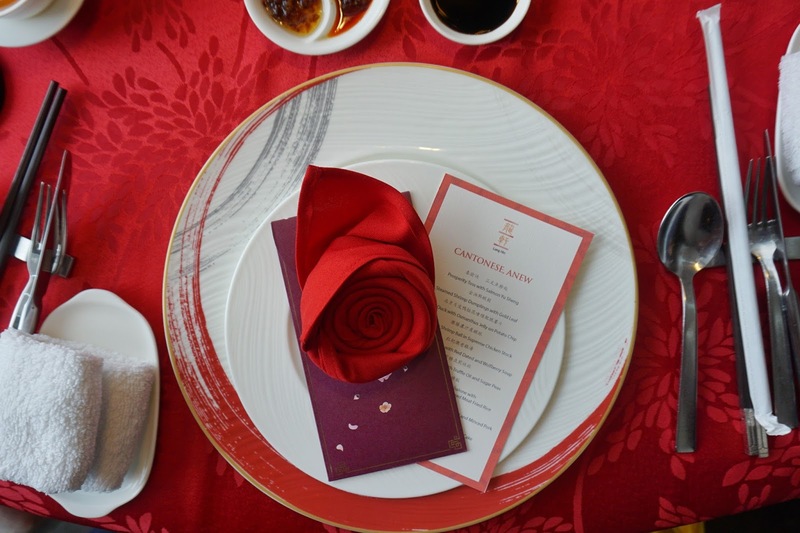 We continued our gastronomic journey with several baskets of Steamed Shrimp Dumplings with Gold Leaf. 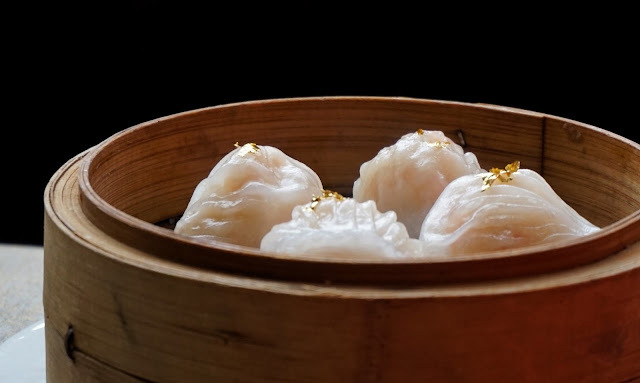 It's your usual dimsum but given a classy touch with the gold leaf. I loved the snappy texture of the shrimp and how delicate the wrapper was. One of my favorites in the spread was Peking Duck with Osmanthus Jelly on Potato Chip. The interesting blend of flavors was addicting. The savory smokey taste of the duck meat and crisp skin was beautifully complemented by the floral taste of Osmanthus Jelly and salty taste of potato chip. 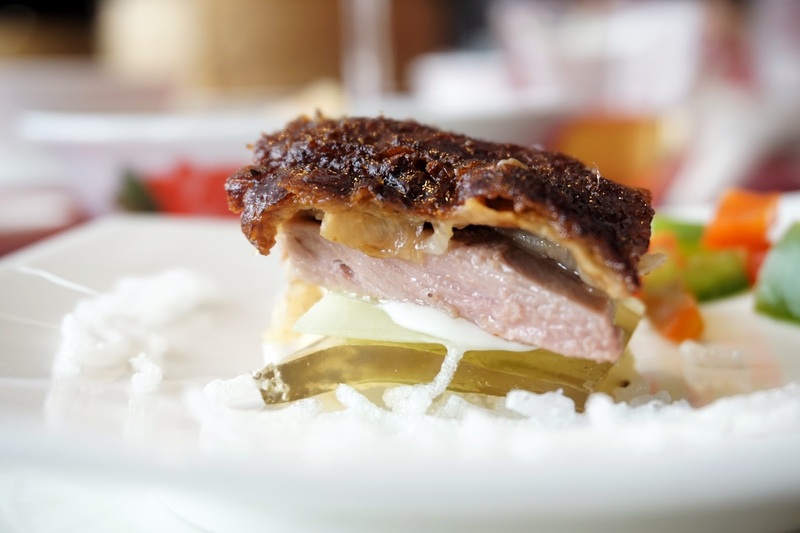 It sure was a great new way to enjoy your Peking Duck. The Sauteed Tiger Shrimp Ball in Supreme Chicken Stock also hits the spot. Its slight thick broth was so comforting and would make you want to get cozy in bed.The huge tiger shrimp ball, on the other hand, was nothing short of impressive. 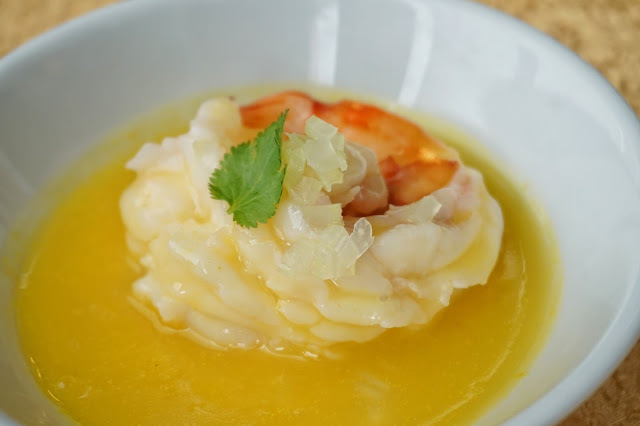 Just like the shrimp in the dumpling, this one was undeniably fresh and had superb snappy and crisp texture. Yet another comforting dish served to us was Double-Boiled Chicken with Red Date and Wolfberry Soup. 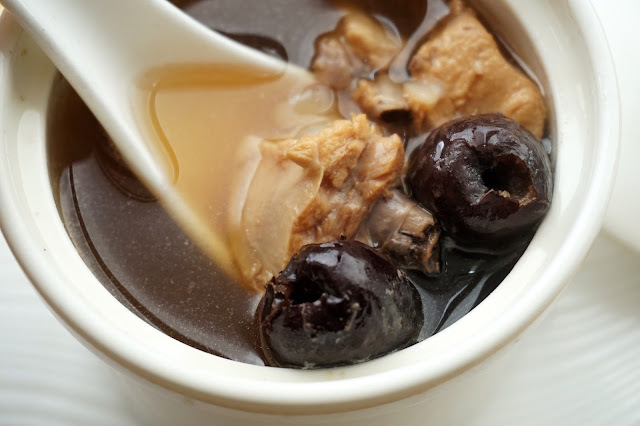 Though we found some parts of the chicken dry (because Lung Hin made use of the chicken's white meat), its sweet and savory soup complemented it well and a lovely break from the other dishes. 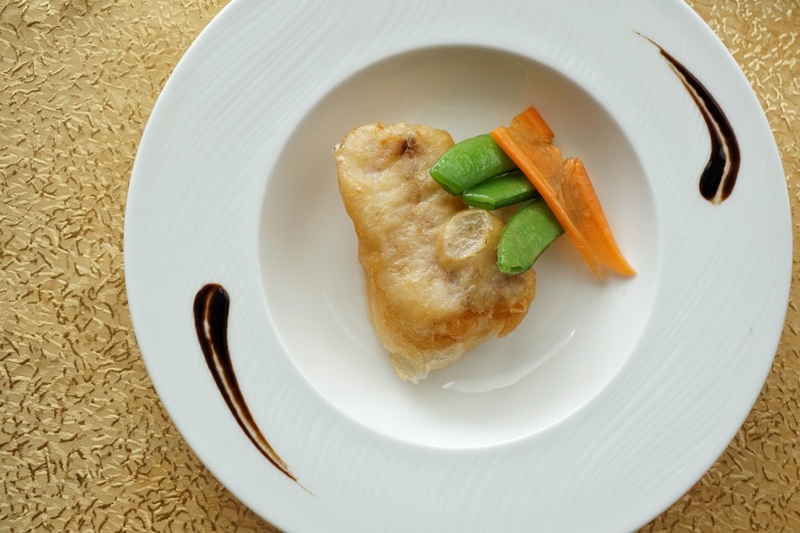 If I were to choose only one dish to eat from the set, it would be Pan-fried Grouper Fillet with Truffle Oil and Sugar Peas. This dish may be the least appealing in the bunch but this one was my absolute favorite. The lightly battered grouper fillet drizzled with truffle oil was delicious! My small eyes widened and sparkled as soon as I popped a piece in my mouth. For extra crunch, add a bit of sugar pea per bite. 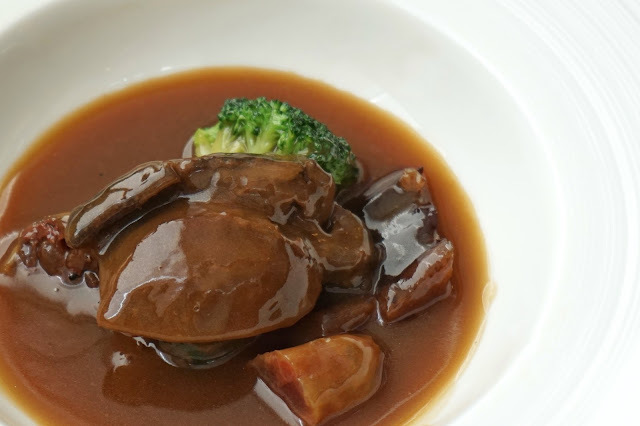 The highlight of our visit is this limited Braised South African Abalone with Hong Kong Dried Sausage and Waxed Meat Fried Rice (PHP3,288 per piece) available only until February 28, 2018. While not everyone fancy this dish, I liked it. I might be a bit biased though as I like abalone. 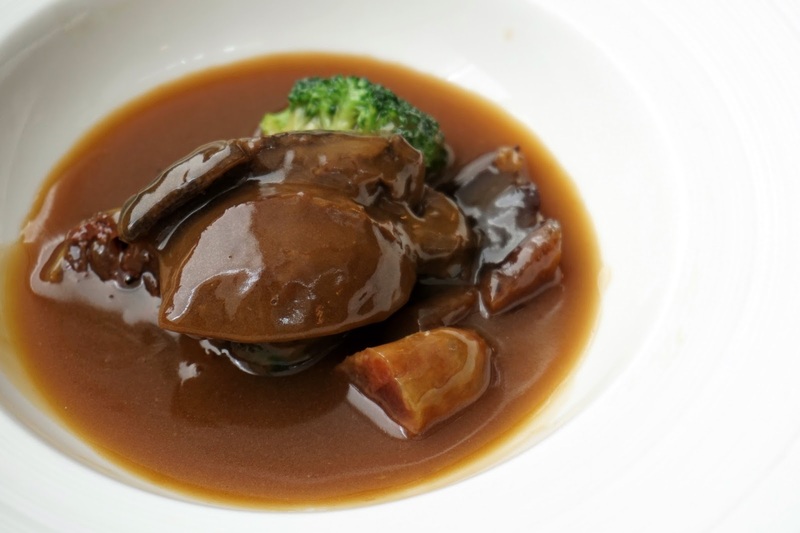 However, I would have enjoyed this fancy dish even more if it was served fresh instead of being masked by its thick oyster sauce. 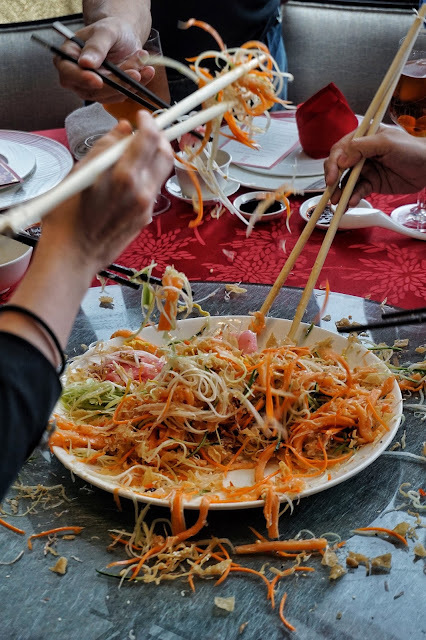 Just like any other Chinese feast, we finished our meal with either rice or noodles. 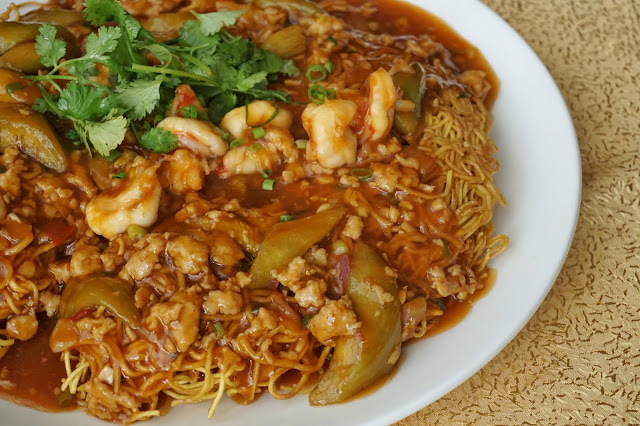 For this visit, we had Pan-Fried Crispy Egg Noodle with Prawn Ball and Minced Pork. 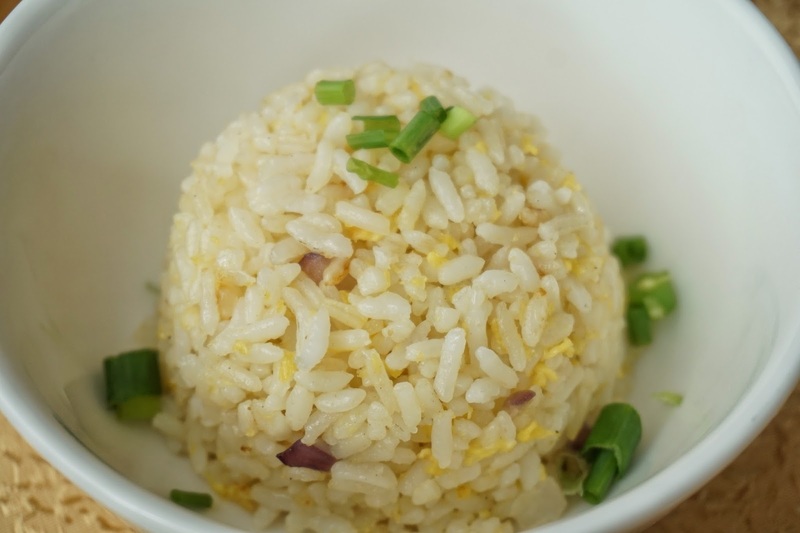 This dish which made me reminisce the days I was walking around the busy streets of Hong Kong. The slight crunch from the egg noodles and the flavorful prawn ball and minced pork made me finish my portion despite repeatedly saying that I had to unbutton my pants. And of course, to cap our meal, we indulge in some sweets. 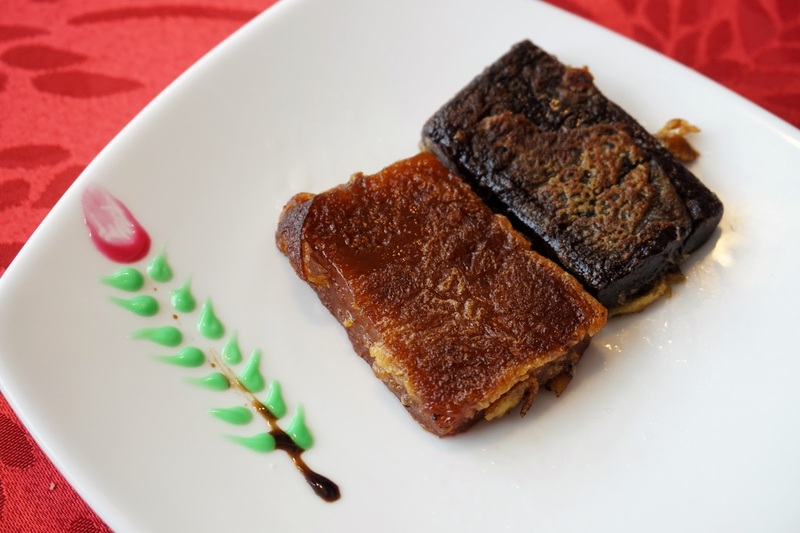 And for this feast, we had Pan-Fried Two-flavored Chinese New Year Cake (or tikoy as most of us call it) available until February 21, 2018 for only PHP1,388 for two pieces or PHP988 for one.. Overall, it was a spectacular meal. It did more than fill my tummy. This feast spoiled my taste buds with its superb flavors--rich and delicate, from start to finish. And with top service to complete the experience, I will definitely be back for more. 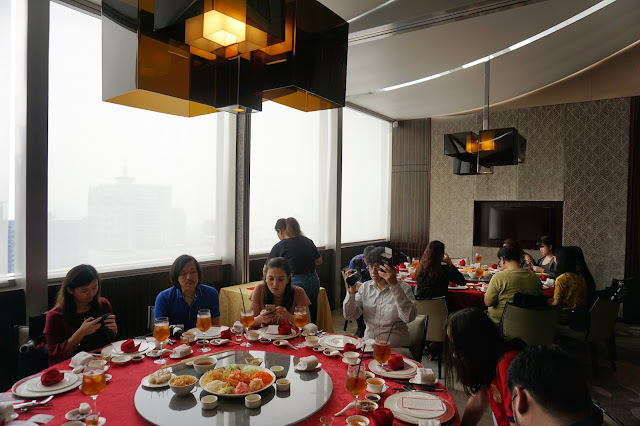 Lung Hin is located at 44th Floor, Marco Polo Manila, Meralco Avenue, Ortigas Center, Pasig City.